Brrrr! Baby, it’s getting a bit nippy outside in certain parts of the United States. So, we’re sure that some of you are already thinking about canopy top replacements. After all, canopy tops are what protect family vehicles from the elements, year-round. Unfortunately, many people forget this fact and purchase tops that can’t withstand their area’s climate. So how do you know whichcanopy top replacementis tough enough to protect your family’s vehicles the whole year through? We’ll tell you. The first thing you need to look at is the top’s load bearing capacity. Remember, canopy tops in general must be strong enough to hold accumulated snow and ice, which can exert a lot of downward pressure on the entire structure. How much pressure? According toFederal Emergency Management Guidelines, it will likely be in excess of 5 pounds per every square foot of canopy top space. And the strength of the canopy top replacement isn’t the only factor to consider. The type of ground that it’s sitting on plays an important role too. For instance, a patch of frozen dirt will generally withstand less downward pressure than a well-built, concrete pad or stretch of asphalt. Therefore, it’s important to select the right area for your carport as well. Just in case you’re not from the south, love bugs are insects notorious for causing damage to certain finishes. It’s not their droppings that cause the problems but their acidic innards. You can read more about them through theUniversity of Floridawebsite. And no, love bugs aren’t the only insects that have the ability to destroy the finish on a canopy top. There’s more and the list varies by region of course. So to learn more about which canopy top replacement is best suited for your home or business environment, pleasecontact ustoday. This entry was posted in canopy replacement cover, canopy replacement covers and tagged canopy replacement covers on February 11, 2019 by Canopies Tarps. Providing shade cover for your car is an essential part of keeping your vehicle in good condition in the years to come. If youre not fortunate enough to have a garage for your car to be parked in, you may have begun using a canopy to provide some essential shade. While these canopies can be quite durable, you will likely still needcanopy top replacementsat some point to ensure that your car gets the protection it needs. When looking for a new canopy top and wanting something a bit different than your current canopy, its important to look for something thats going to be durable in the years to come. Rather than look for only sun protection, youll benefit by looking for canopies that provide some weatherproofing. Protection from the rain can help keep your car in good shape and can make all the difference if you want to keep your car clean after car-washes. Along with choosing a canopy that can provide some protection from the elements, you also want to make sure that any heavy wind or hail wont be a problem. 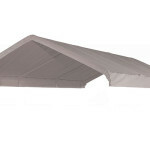 The fabric should be durable enough where it wont tear easily and the canopy can move slightly in the wind without being damaged significantly. This extra attention towards canopy tops that will withstand plenty of wear can help lengthen the time between replacements. Taking your time to look for canopy top replacements that are quality in design will help ensure that your car stays in great shape.Contact usif you need any help picking out a canopy for your driveway. This entry was posted in canopy replacement cover, canopy replacement covers and tagged canopy top replacements, canopy tops on October 9, 2015 by CanopiesAnd Tarps. If you have a patio that you enjoy spending time in, you probably already have a patio cover that helps provide some much-needed shade. While patio covers are designed to be quite durable and weather-proof, there still comes a time where canopy top replacements may be necessary. Thankfully you can reduce the need for replacing the canopy top as often by focusing on proper maintenance. Keeping your canopy cover looking great is simply a matter of doing a deep clean from time to time. In order for the canopy fabric to dry properly, its recommended that you pick out a warm and sunny day in advance. This way, the canopy will dry entirely and moisture wont be able to lead to mold. Stains can occur on a canopy from sources such as grass, tree sap, and even mildew. In order for you to treat these stains, youll want to avoid using bleach since this can cause discoloration. Instead, look for fabric cleaners designed for outdoor furniture. If your canopy is small enough to fit into a washing machine, this can help cut down on a lot of time cleaning. The short cleaning time also makes it easier for you to do more routine cleanings. When cleaning your canopy, its a good idea to use this opportunity to look for any tears in the fabric. If you see any significant damage, it may be time to purchase a canopy replacement. Contact us for help choosing a new canopy top that fits in perfectly. This entry was posted in canopy replacement cover and tagged canopy replacement covers on April 10, 2015 by CanopiesAnd Tarps. If you have a canopy that you use to shade your patio or provide sun protection for your vehicle, you likely know that it wont last forever. 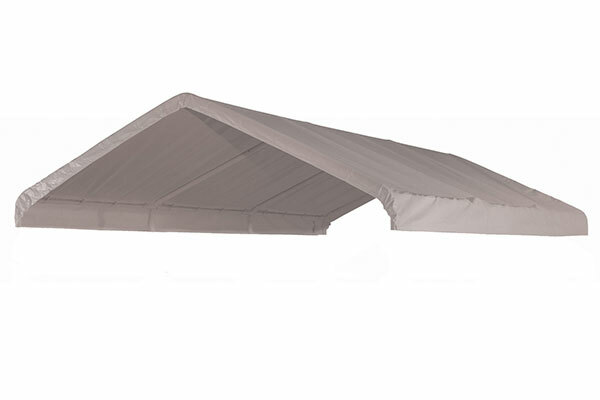 Even the most durable canopies will need replacement at some point, especially if you leave it outdoors during the entire year. With the beating that a canopy can receive from the elements, youll need to know what to look for while shopping forcanopy top replacements. The sizes of canopies can vary greatly, from some that are designed for small areas to others that are large enough to accommodate big yards. If you only need to buy a canopy top and are keeping the frame, it becomes even more important to focus on size. Taking measurements and looking over the options carefully can prevent you from ending up with a canopy that simply doesnt fit and will need to be returned. The appearance of some of the canopies available can range from basic neutral colors to something a bit more flashy. Keeping in mind the style of your patio furniture and landscaping can help you choose a canopy top that will fit in with the rest of your yard. If youre only replacing the canopy of your patio and not the entire structure, you can save some money on the purchase. Considering the cost of the original canopy that you bought can help you choose a canopy top that is priced appropriately. If youre interested in replacing a worn canopy top instead of an entire replacement, pleasecontact us. This entry was posted in canopy replacement cover, canopy top replacements and tagged canopy replaements, canopy tops on October 1, 2014 by CanopiesAnd Tarps. Last years summer carnival didn’t attract as many visitors as you and the neighborhood events committee had hoped. Now youre all wondering why that happened and what to do about it. Personally, wed recommend taking a closer look at all aspects of your carnival. The problem could rest with its overall reputation. Sometimes the equipment used to put on longstanding carnivals starts to look a little shabby around the edges. And that can put off potential visitors and vendors alike. Thats why it is vital to periodically invest in canopy top replacements. 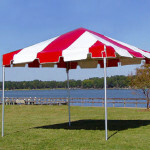 Nowadays, there are canopy top replacements that are specifically designed for carnival use. 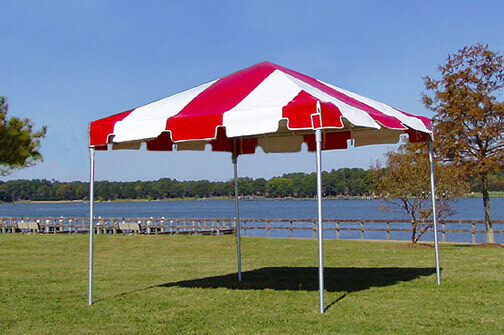 Case in point, at Canopies and Tarps, we have a broad range of fiesta and carnival top covers in stock. 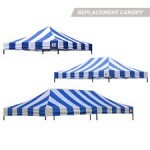 Weve also got matching, replacement side and end panels on hand as well as new tents. Many of them are fire, water and UV ray resistant. Plus, they are made from an ultra durable, 600 denier polyester/oxford blend. As such, they should help to improve your neighborhood carnivals overall look and make the area safer for all involved. Dont just invest in canopy top replacements either. Consider adding a new layout and other attractive elements to your neighborhood carnival as well. For example, you may want to set up a soft play area for the kids that features a series of sun shade sails and seating areas for the parents. Families may also enjoy a police and K-9 exhibit area. Set up dog kennels for the animals and ask police officers to talk about important issues like child and home safety. To learn more about improving your neighborhood carnivals reputation with the aid of canopy top replacements and more, please contact us online or by dialing (877) 811-3911 today. Our canopy and tarps experts would be overjoyed to share their advice for setting up stunning, summer carnivals. This entry was posted in canopy replacement cover, canopy replacement covers and tagged canopy replacements, canopy tops on May 29, 2014 by CanopiesAnd Tarps.